Yes, it is really, really cold. -4C to be precise! 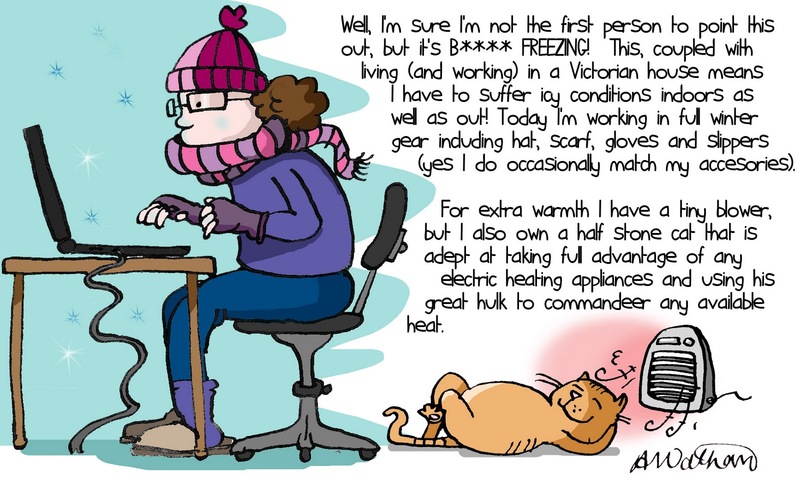 Ok, so everything is relative, I mean the conditions aren’t on a par with North Pole (yet) but the latest Big Freeze is quite enough to give me an insight, and frankly, unless I had my own supply of seal furs, walrus blubber and an Eskimo, I’m quite happy to continue whinging about -4C. Last night I had the misfortune to travel for two hours on a train with no heating! Everyone on board was wrapped up, grown men were shivering and tourists were pulling spare jumpers from their suitcases for extra warmth. It feels like a real winter – we just need some snow. This entry was posted in Animals, Cats, General, Life, Uncategorized, Work and tagged cold, heating, thermals by bighair63. Bookmark the permalink.